At Hytronik, we strive to provide you with a quality, reliable and durable products. 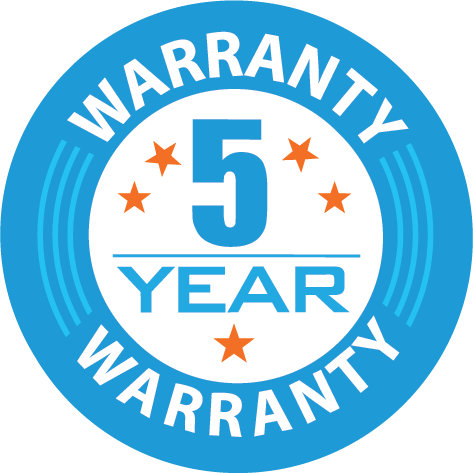 To live up to our promise, Hytronik provides standard 5 years warranty on all its products. This ensures our customers buy with confidence and trust that our product will last a very long life with no issues to worry about. Hytronik delivers high quality products and services. Guarantee for lighting components, management systems exceeds usual legal guarantee. This guarantee applies to all electronic control gear supplied by Hytronik (Microwave motion sensors, LED drivers, electronic ballasts for fluorescent lamps, electronic transformers, lighting control units, etc., ). The basic guarantee for Hytronik products is 5 years. The guarantee is valid for a period of 5 years, from the production date printed on the product. This guarantee is applicable to all of products with a rated life of 50,000 hours. Even for one-time purchase, Hytronik still fulfill the full commitment of all terms within this 5 years guarantee. The guarantee is valid for a period of 3 years from the production time printed on the product. This guarantee is applicable to products with a rated life of <50,000 hours. Hytronik products have to be used according to the specified product and application specifications. E.g. The guarantee for electronic control gear is only valid when the product is installed with lamps conforming to IEC specifications. The guarantee covers solely product failures caused by material, design or production faults and failure rates that exceed the rated failure rate . Failures can be caused by material malfunction or by failures during the production process (for products with a nominal life time of 50,000 hours a failure rate of only 0.2 % per 1,000 hours of operation is typical, products with a life time of 30,000 hours have a nominal failure rate of 0.3 % per 1,000 hours of operation). In the event of failures exceeding the nominal failure rate Hytronik on its sole discretion might decide to repair defective components or products. A small percentage of electronic ballasts and LED light sources require to be maintained regularly. Therefore easy access to the products has to be ensured at any time. Ease of maintenance should be born in mind during the installation of the product in order to limit maintenance costs. If easy replacement is not considered at an early stage, end users shall be informed of future additional costs that might occur during standard maintenance. When designing the luminaire and its installation, a replacement of the control gear or the LED light source and its driver before the expired service life of the luminaire should be considered. The indicated life time is achieved by operating lighting components according to the conditions specified by the manufacturers, to the relevant international standards and in accordance with local regulations. All electronic products, having an expected failure rate, require continuous maintenance. Hytronik supplies adequate products as replacement or reimburse products to primary customers. The customers or end customers bear the costs for demounting and remounting as well as for sending in and returning products. Any other costs, e.g. replacement costs upon installation, costs caused from failures of the installation or other damage and/or consequential damage are not covered by this guarantee.